CBP Box Company, LTD has established itself as one of the best packaging goods suppliers in recent times. 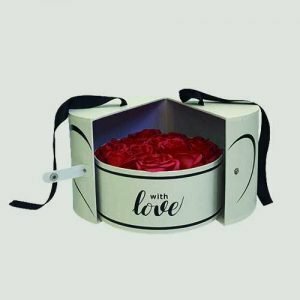 Whether it be cardboard foldable boxes, flower boxes, shopping bags, magnetic closure box, or any other type of boxes, CBP Box has them all. They are leading manufacturers of custom design boxes, made to order, just as per the customer’s convenience. Whatever material, printing design, size, style, and finish the customer wants, CPB Box limited can deliver. Custom made packaging is what they specialize in, with special features such as embossing, debossing, and foil stamping also available. The gift boxes offered by CBP Box can be used for a variety of purposes. For example, a magnetic closure box could be used to hold a wine glass and bottle, with a smaller one being possibly used as a wristwatch box. Flip top gift boxes may be used to store small items such as jewelry or cufflinks. Their paper tube packaging in unbeatable and is highly demanded products. So, if you are looking to gift any of the aforementioned items to your loved ones, using the best quality packaging from CBP Box should be your priority. Quality packaging at competitive rates, that’s what they are known for!